So it's the holiday season in Oklahoma City. The Thanksgiving turkey is still giving you that sleepy feeling, football and Christmas movies dominate the television schedule, and shoppers crowd the malls looking for that perfect present. It's a fantastic mixture of festivity and frustration. Well, here's something to help you get through it all. This is your Christmas in Oklahoma City headquarters. Get all the information you need for nearly every aspect of the holidays from decorating and food to shopping and events. Head to a metro area Christmas tree farm to pick out that perfect tree and then make sure you're aware of Christmas tree disposal policies in your OKC community. 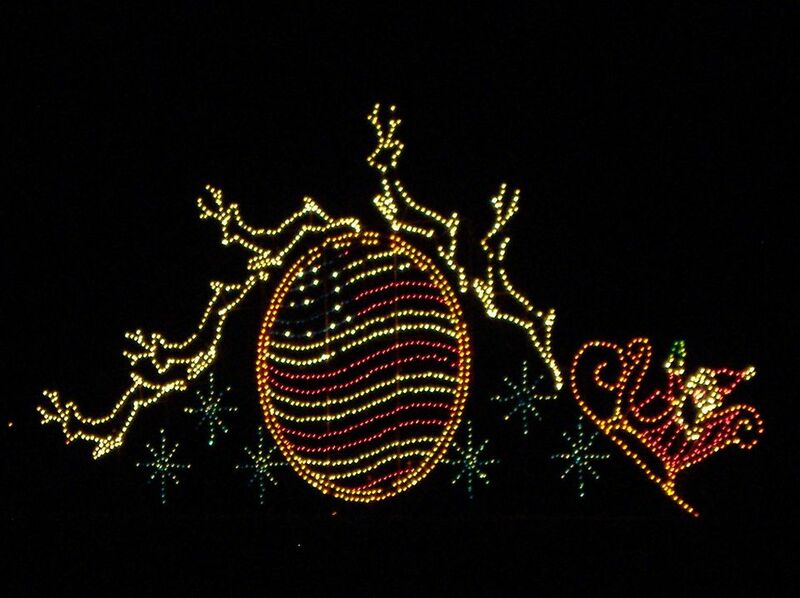 And take a moment to enjoy the best holiday lights around Oklahoma City. Check out the great specials for Black Friday shopping in Oklahoma City. Visit the best shops in the metro for edible gifts and gift baskets. Make things easier on yourself by buying up plenty of great OKC gift cards. And if all that doesn't do it, just shop until you drop at OKC Outlets, Quail Springs Mall, Penn Square Mall, Plaza Mayor, or Sooner Mall. Finally, for the procrastinators, here are the last-minute Christmas shopping hours at major OKC malls and stores. With all (or at least most) of the shopping out of the way, you can concentrate on food. After all, what are the holidays without all the great treats and traditional dishes? If you plan to do the big Christmas feast, find the best grocery store for your food purchases. In all likelihood, you're looking at many of the same places and items as when Thanksgiving grocery shopping in OKC. But if you don't or can't cook, check with the restaurants that offer eating out for Thanksgiving dinner. Many of them also do full meals for Christmas. And last but not least, you can always head out to eat on Christmas. Though not many, there are some restaurants open Christmas in OKC. Enjoy all of the wonderful tree lighting ceremonies across the metro. Visit Santa! There are multiple opportunities around Oklahoma City. Check out the fantastic Downtown in December festivities all month. Watch the Holiday River Parade of boats on the Oklahoma River. Visit the fun area holiday ice skating rinks. Find out what else in the way of December events in OKC may be perfect for the season. For example, nearby communities have special festivities such as El Reno's Christmas on the Western Frontier or the Edmond Electric Parade of Lights early in the month. And get ready for the cap of it all, Opening Night in OKC to ring in the New Year. And what to do if you have a bit too much to drink. Well, consider one of these safe holiday transportation options in OKC. The holiday season is one of the best times of the year, but there's a lot to keep your mind busy or frazzle your nerves as well. Take everything step by step for Christmas and break it down. That makes the frustrations less frequent and the spirit much more cheerful.